Machine tool maker Goodway leads Taiwanese peers in 2015 profitability. 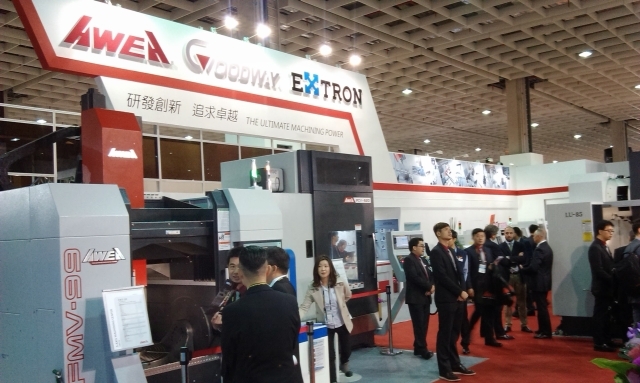 Goodway Machine Corp. made NT$621 million (US$18.81 million) or NT$6.21 per diluted share, in after-tax net income in 2015, down 9.3 percent year on year but topping that by all of its machine-tool peers in Taiwan. The firm, set up in 1975 and located in the Central Taiwan Science Park, is principally engaged in the manufacture and distribution of computer numerical control (CNC) lathes and machine tools, according to Reuters and other online sources. Industry executives ascribe the earnings partly to the company's income of NT$93 million (US$2.81 million) from foreign exchange trades, which generated around NT$0.7 per share of the 2015 earnings. The NT-dollar devalued to 32.8 a US-dollar at the end of last year. The company's board of directors has decided to pay shareholders NT$0.5 in cash dividend and NT$1 in stock dividend from the 2015 earnings. Company chairman, Edward Yang, points out that the company will retain the majority of its earnings to finance upcoming expansion projects. The company's new expansion plan, namely a new manufacturing base to be sited at the Jiayi Dapumei Intelligent Industrial Park in southern Taiwan, will begin construction in the third quarter of 2016 and start volume production by the end of next year. The new manufacturing site is designed to build heavy-duty vertical turning centers and heavy-duty horizontal boring machines for the automotive, aircraft, and energy industries. Currently the maker generates 30 percent to 40 percent of its revenue from the sales of machines for the automotive industry, 10 percent to 20 percent of its revenue from the machines for making precision components, and barely 10 percent of revenue from machines for the aircraft industry. Industry executives predict that revenue generated from machines for making aircraft to increase to account for over 10 percent of the company's revenue by the end of this year in light of the recovering aircraft industry in Europe. The company's subsidiary, AWEA Mechantronic Co., Ltd., earned NT$274 million (US$8.30 million), or NT$2.98 per diluted share, in after-tax net income throughout 2015. The subsidiary will pay shareholders NT$0.5 each in cash and stock dividends. Yang's perspective about business in 2016 is basically upbeat, believing the market is likely to recover in the second quarter, inspiring him to project the company's consolidated revenue to return to the 2014 level of NT$7.8 billion (US$236.36 million) or so. In that year, the company's earnings hit a fresh all-time high of NT$6.86 per share. His optimistic projection about the second quarter is based on the market having gone through the worst situation since the third quarter of last year throughout the first quarter of this year, with customers aggressively re-stocking inventories. So far, the company still has around NT$400 million (US$12.12 million) of booked orders, which will keep the company's production lines busy till April. AWEA still has NT$1 billion (US$30.30 million) of undelivered orders mainly from aircraft builders, which will keep the company's production lines humming into the early part of the second quarter.